Kids will appreciate attractions like Mount Washburn and Lamar Valley. Escape the urban bustle at Fishing Bridge General Store and Yellowstone Lake. 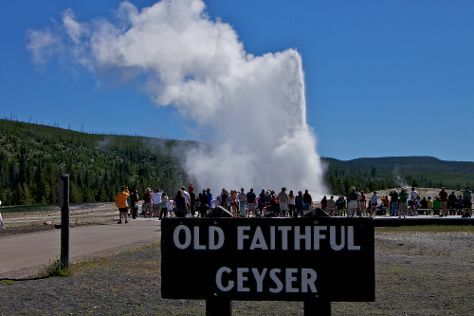 Spend the 13th (Thu) exploring nature at Yellowstone National Park. Spend the 10th (Mon) exploring nature at Fairy Falls. There's lots more to do: take in breathtaking views at Grand Canyon of the Yellowstone, witness a stunning natural landmark at Old Faithful, hike along Artist Point, and identify plant and animal life at Lehardy's Rapids. To see more things to do, ratings, maps, and tourist information, refer to the Yellowstone National Park trip itinerary planning app . In June, plan for daily highs up to 66°F, and evening lows to 34°F. Wrap up your sightseeing on the 15th (Sat) early enough to travel back home.